Now that you know that Trek is all about bikes and mountain bikes - and fulfilling the needs and whims of bikers and mountain bikers, visit the site, and start building your Trek mountain bike. That's right! You can build your very own virtual Trek Bike. You can start with just the frame, or select a complete bike. You can choose the color scheme, and many other features as well - when you have virtually designed the bike of your dreams, you can order it if you want to! If you can't afford it just yet, however, you can save it, and go back and look at it over and over again. Once you've purchased your Trek mountain bike, you may be interested in a Trek mountain bike tour. 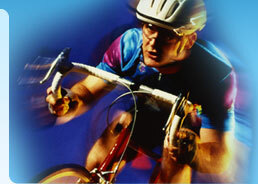 Trek also caters to mountain bikers with Trek Travel. Trek Travel puts together mountain biking tours. You can plan your Trek Travel vacation based on where you want to go, the type of trip you want to take, the skill level that you are at, the dates you want to travel, or by selecting a pre-planned event. These are often guided tours, and the guides are well trained not only to make sure that you have the best biking adventure possible, but also that you remain safe during your tour. If you aren't quite ready to buy the Trek mountain bike, you can still go on one of the many Trek mountain bike tours - and the bike will be provided for you! You get to choose between the OCLV Carbon Fiber Trek 5.2 Madone road bike and the full-suspension Trek Fuel EX9 mountain bike - and the bike is included in the price of your tour. If you've already purchased a Trek bike - or any other brand of bike - and you prefer to bring your own bike on your tour, bring it along! Trek simply requires that you pack it in a bike carrying case. You will, however, be expected to reimburse Trek for any spare parts you may use during the trip, and you will be responsible for the care and maintenance, as well as the assembly and disassembly, of your own bike. If you aren't in the best of shape, don't let this keep you from the fun and adventure of a Trek mountain bikes tour! There are easy tours available, where you will average thirty miles per day, or less. The terrain will be flat, and you can ride at your own pace, and riding is optional each day. If you prefer something a bit more adventurous, there are moderate trips available as well. With a moderate trip, you will ride 30 - 45 miles per day. There will be occasional challenges and climbs, and again, riding is optional. Avid tours cover 45 to 70 or more miles per day and are extremely challenging. Choose the package that is right for your abilities, as well as a tour that fits in with the other things you want to do on your Trek mountain bikes vacation!